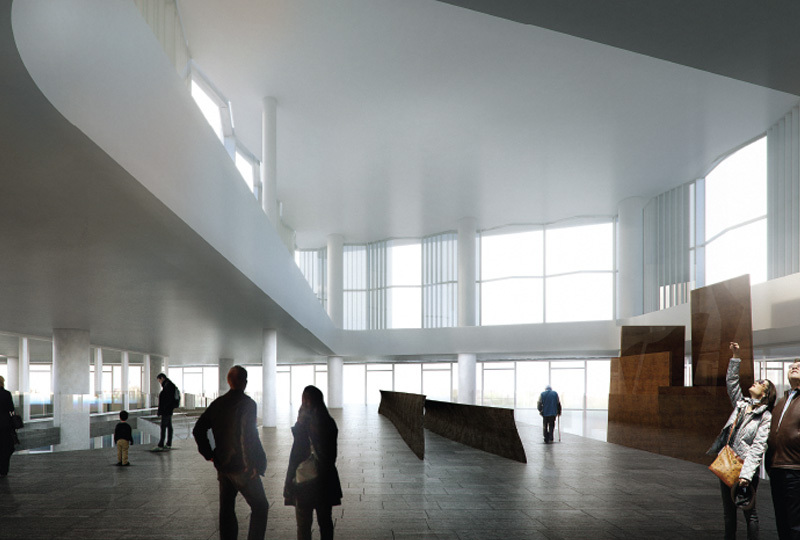 At the time of the original application, the floor area of the cultural facility was a function of the outline requirements for the Holocaust Memorial & Learning Centre. The consented scheme provided 4,832sqm (52,000 sq ft) of Gross Internal Area (GIA). Much of this floor area was however constrained in terms of its ceiling height and not suitable for the needs of the BFI. The value of cultural space is probably better expressed in volumetric rather than in floor area terms: cubic meters rather than square meters, much of the design work has focused on creating spaces with sufficient height and impact to create a world class facility. Nevertheless, the proposed BFI Millbank facility at 4,397 m2 (47,330 sq ft) is only 9% smaller than the allocation in the current planning consent. The space provided is of higher spatial quality and fully meets the requirements of the BFI, producing a more coherent and exciting cultural offer. Creating a much bigger and deeper basement in order to provide the auditorium/ cinema space required by the BFI necessitates the complete demolition of the prow. In the consented scheme only two perimeter portions of concrete slab at first and third floor levels together with 8 concrete columns were to be retained. As such the loss of original fabric is only slightly greater in the BFI version. As part of the new design we are looking to preserve and reinstate elements of the original building thus helping offset the additional loss. A significant amount of public realm and dedicated garden area is to be created for the BFI. This outdoor space will be well-used for exhibitions, educational talks and socialising.